China Holidays in co operation with CNTO and Hong Kong Tourism Board will be unmasking the true face of China in a series of three fascinating talks at our Long Acre store on 7th, 14th and 21st February. The event is free to attend, though guests must email booking@chinaholidays.com to reserve a place. 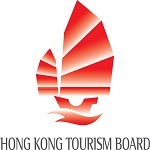 We would like to take this opportunity and thank China National Tourist Office and Hong Kong Tourism Board for their support !